There’s no denying that a lot of waste comes from the kitchen. Think about it: Ziploc baggies, aluminum foil, grocery bags, and saran wrap…and the list goes on. All of these things will, more likely than not, end up in a landfill. However, the tide appears to be shifting to a new way to store and package food. Take the plastic cutlery ban in France, for example; or the drinkable ‘plastic’ bag. These are just two of the examples recently making headlines about sustainability, and we’re about to add one more new innovation to the list — Bees Wrap. 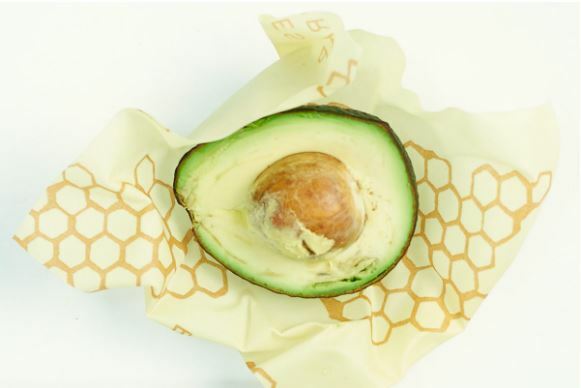 Founded in 2012 by Sarah Kaeck, Bees Wrap is a saran wrap and plastic bag alternative. It all started with one question: “How could we eliminate plastics in our kitchen in favor of a healthier, more sustainable way to store food?” Surprisingly, the answer was found in a lost tradition of infusing organic cotton with beeswax, organic jojoba oil and tree resin. The result? A reusable and washable food storage alternative. You may be wondering how Bees Wrap clings. After you wrap a product or cover a bowl, you simply seal it with the warmth of your hands. Once it is put in the refrigerator and cools it keeps it shape, clinging to the product. A little bit of cold water and soap is all you need to clean Bees Wrap so it’s ready for its next use. The product comes in a variety of sizes and prints; and is perfect for storing snacks, fruit, loafs of bread and vegetable. Used several times a week, Bees Wrap has a lifespan of approximately one year. Kaeck is passionate about gardening, cooking, milking her goats, and keeping chickens. 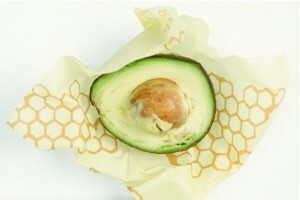 Bees Wrap was born out of a desire to reduce the amount of plastic her family was using for food storage. Nestled in Bristol, Vermont, Kaeck works with a small team of women who hand make Bees Wrap. Stop for a moment and imagine a kitchen where there isn’t a single plastic bag or roll of saran wrap to be found. In this day and age, that seems pretty far-fetched. However, Kaeck could make this a reality by taking the time to think outside of the box and come up with a way to alter how we see food storage.